We are a Full Service real estate company specializing in Waianae Sales/Rentals/Property Management. We are currently managing over 175 rental properties on the Waianae coast and also island wide serving Waianae, Makaha, Maili, Nanakuli, Ko Olina, Kapolei, Ewa Beach and adjacent areas since 1984. The company was founded by G.Jeannie Byers (Principal Broker/Owner) and opened it's doors in 1989. The office is also owned & operated by Mrs. Byers. She is happily married to Brian Byers & has two stepsons, Matthew Byers & Timothy Byers. She resides in the rapidly growing city of Kapolei. We have 8 full time Agents in the office. They are all high caliber professionals with diverse backgrounds. They are committed to provide you with a real estate experience you can trust and results you can definitely count on. Our Waianae office is fully equipped with an integrated network of high tech computer and communication systems. We have instant access to all Foreclosures, Multiple Listing Services, Public Record Searches, Credit Report Access-Rentals and other tools and services that our Agents need in order to better serve you. 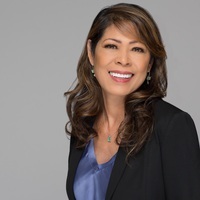 Our Office Administrators/Property Managers-Katherine Keli'i, Jo Anne Talo, Wallette Nagaishi and Ginger Meyers will accommodate all of your needs. They will help to coordinate showings, set schedules/appointments, assist you if your agent is not available and ensure the timely processing of all your documents.